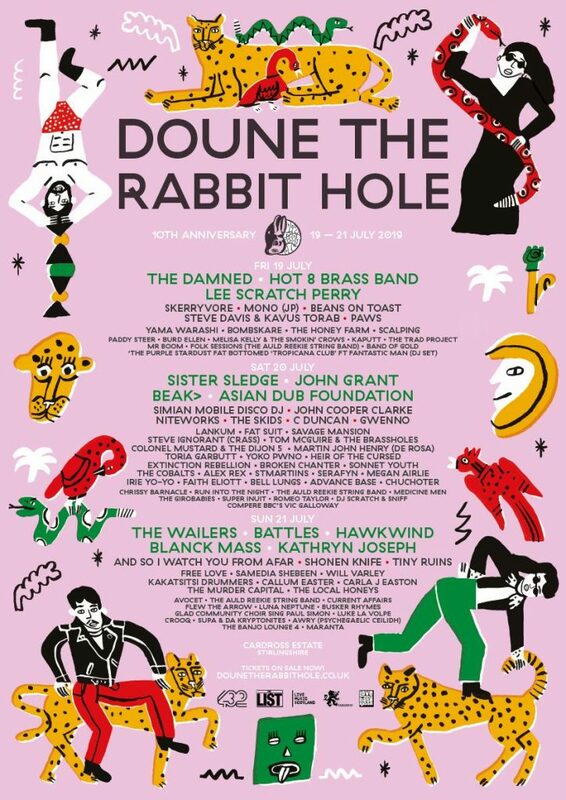 Doune The Rabbit Hole have announced their updated lineup for their 10th Birthday Celebrations with some cracking names added to an already impressive list. It’s always a cracking weekend camping and chilling amongst the ancient oak trees and this year’s lineup is arguably their best yet. They’ve added Sister Sledge, Blanck Mass, C Duncan, The Damned, Asian Dub Foundation, Hawkwind, Medicine Men, The Girobabies and a whole heap more. + Battles, The Wailers, Lee ‘Scratch’ Perry, PAWS, John Grant, BEAK>, Kathryn Joseph, Simian Mobile Disco (dj), John Cooper Clarke, Shonen Knife, Free Love, Broken Chanter … the list goes on.